The aim with TB in the United States is the elimination of the disease, although the path towards this has not been as straightforward as was expected. For decades deaths from TB in the United States had declined, only for there to be a sudden resurgence in the 1980s alongside the AIDS epidemic. From 1953 to 1984 the number of reported TB cases in the United States had declined at a rate of approximately 5% a year, from greater then 84,000 in 1953 to approximately 22,000 in 1984. However, from 1985 to 1992 reported TB cases increased 20%. The surge in TB cases was particularly pronounced in New York where by 1992 there were 3,811 TB patients and 40 percent of them were also infected with HIV1Shure, Natalie, “How New York Beat Its TB Epidemic, 2016, www.thedailybeast.com/articles/2015/03/23/how-new-york-beat-its-tb-epidemic.html. In addition, out of the thousands of cases in New York City at the peak of the epidemic 441 cases were of MDR-TB, which the standard TB drugs don’t cure. In 1989 the Advisory Committee for the Elimination of Tuberculosis (ACET) had published a strategic plan for the Elimination of Tuberculosis in the United States by 2010. Eliminating TB was defined as achieving a case rate of less than 1 per million population. 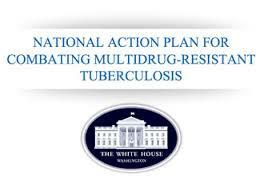 However the plan was never fully implemented and the number of TB cases reported in the United States increased. In 2000 when the case rate was 58 per million, the Institute of Medicine published a report, “Ending Neglect: The Elimination of Tuberculosis in the United States”. 2Institute of Medicine. Ending neglect: the elimination of tuberculosis in the United States. Washington, DC: National Academy Press; 2000 This was both a reminder of the threat posed by TB and a reaffirmation of the national goal of elimination. Despite the fact that there had been a return to an annual decline of 4 to 8% in the national TB rate, the “Ending Neglect” report predicted that the goal of TB elimination set by ACET in 1987 would not be achieved by 2010. This was quite correct and in fact the 2010 rate with 11,182 TB cases was 36 fold higher than the elimination goal. It was proposed that there should be a new target date of 2035. Incidence of TB cases by state and national average United States 2014. 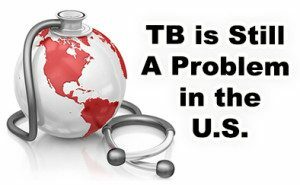 Four states (California, Texas, New York and Florida) representing approximately one third of the U.S. population accounted for half of all TB cases reported in 2014. The national TB incidence rate in 2014 was 3.0 cases per 100,000 people, ranging by state from 0.3 in Vermont to 9.6 in Hawaii. Twenty nine states and DC had lower rates in 2014 than in 2013; 21 states had higher rates. Ten states and DC had higher rates than the national average. In 2014, as in 2013, four states (California, Florida, New York and Texas) reported more than 500 cases each. Combined these four states accounted for 4,795 TB cases, or 50.9% of all U.S. cases in 2014. There are more figures for the number of TB cases per state. Foreign born people continued to be disproportionately affected. In 2014, 66% of TB cases in the United States occurred in foreign born people. The top five countries of origin of foreign born persons with TB were Mexico, the Philippines, India, Vietnam and China. In 2014 Asians had the highest TB case rate at 17.8 cases per 100,000, this was a slight decrease from 18.5 in 2013. Native Hawaiians or Other Pacific Islanders had the second highest TB case rate at 16.9 cases per 100,000 which is an increase compared to 11.4 cases per 100,000 reported in 2013. Blacks or African Americans born in the United States represented 37% of TB cases in US born persons, and accounted for 13% of the national total. Is progress now being made towards elimination? In 2009 it was projected that at the rate of decline of 3.8% in annual cases that was achieved from 2000 to 2008, TB elimination would not be achieved until 2017 for the nation as a whole. A number of different reports concluded that the failure to progress towards the elimination goal, was not due to a faulty plan or an inappropriate goal, but a failure to fully implement a number of key components of the plan. So how could a greater rate of decline be achieved? What needs to be done? It is not just that there needs to be a decline. It is also essential that there isn’t an increase in the number of people with TB, and it is from drug resistant TB that an increase could come. Although drug resistant TB is relatively rare in the United States, the treatment is very expensive, takes a long time to complete, disrupts lives and has potentially life threatening side effects. MDR TB is when the TB bacteria that a person is infected with are resistant to isoniazid and rifampin, two of the most potent TB drugs. XDR TB is when the bacteria are in addition resistant to several other drugs. In 2014 1.0% of reported cases of TB in the United States were of primary MDR TB, which means that there is no previous history of TB disease and there is resistance to at least isoniazid and rifampicin, two of the main TB drugs. This percentage has remained stable fluctuating between 0.9% and 1.3% since 1996. Also in 2014 there were 2 cases reported of XDR TB, compared to 5 cases in 2013, 2 in 2012, 5 in 2011, and 1 in 2010. Of the 15 XDR TB cases reported since 2009, 11 have been among foreign born people. The average cost of treating a person with TB disease increases with greater resistance. Direct costs average $17,000 to treat drug susceptible TB, $150,000 for MDR TB and $482,000 to treat XDR TB. There is then in addition productivity losses of $27,000 for treating drug susceptible TB, $132,000 for MDR TB and $182,000 for XDR TB. Of those people treated for drug resistant TB in the U.S. at present, 9% die during treatment, 27% stop working, 73% are hospitalized and 37% require home isolation. An increase in the number of patients with MDR-TB or XDR-TB could have a dramatic financial impact on both State and local health care systems. In December 2015 the National Plan for Combating Multi-drug Resistant Tuberculosis was launched. The National Action Plan identifies a number of critical actions that the U.S. Government would like to take over a 3 to 5 year period to contribute to the global fight against MDR-TB. It is designed to have an impact within the 3 to 5 year timescale, as well as serving as a call to action for the global community. It has however been made clear that the National Action Plan is not a commitment to provide additional funds, and that the activities described in the action plan are subject to “budgetary constraints and other approvals”. The National Plan has three main goals that aim to strengthen health-care services, public health, and academic and industrial research through collaborative action by the U.S. government in partnership with other nations, organisations and individuals. If the objectives of each goal are successfully carried out, then this should result in the following National Action Plan targets being met. There are certain interim targets to be met by 2016, and 2018, with the aim of the following overall targets being met by 2020. Only the first of these is a domestic target with the rest being concerned with the global impact of TB. To reduce the global incidence of TB by 25% compared to 2015 levels. There are a number of cross cutting themes in the different program goals of the National Action Plan, and one of these is that of TB drug shortages. 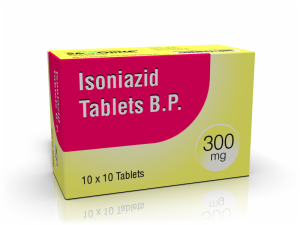 Isoniazid is one of the first-line drugs used as part of a regimen to treat active TB disease and latent TB infection. In 2013 79% of State and local TB programs reported difficulties in procuring isoniazid. Second line drugs are used for the treatment of MDR-TB and in 2013 it was reported that 81% of U.S. TB programs that managed patients with MDR-TB had difficulty procuring second-line drugs. There have also been shortages of the diagnostic products used in TB skin tests. One of the significant outcomes of Goal 1 would include a National TB stockpile to prevent shortages of TB medicines and diagnostic tests. Kate started to get very sick almost as soon as she became pregnant. Then came a constant cough and night sweats. At first she thought it was just because she was pregnant. “When you’re pregnant, there’s a certain amount of you that expects to feel a little run down and feel a little horrible”, says Kate. But the coughing continued. Soon she could barely swallow because her throat was so sore from coughing. She would often wake up in the morning and cough for 15 minutes before starting the day. Her primary care doctor thought it may be pneumonia but Kate wasn’t getting any better. She saw a number of different doctors, but no one could figures out what was causing her illness. After several months of a persistent cough, Kate’s throat was so damaged she could hardly eat. She was losing a lot of weight and was becoming very worried about her baby. “I was dropping weight at a time when I really should have been gaining it. So that was a concern to everybody”, Kate remembers. When she went to see her OB/GYN for a routine check-up the doctor was very concerned that Kate was dehydrated. She told Kate to immediately go to the hospital. Kate didn’t walk out of the hospital for 75 days. Kate was eventually diagnosed with tuberculosis. When she began treatment for TB, she was given the most common TB medications. Soon she began experiencing side effects from the medicines, so her health care team adjusted her treatment regimen. This meant her treatment took longer to finish. One of her biggest worries was how the TB medicines would affect her baby. “There was no way for anybody to really tell me what the effect of these medications was going to be on my baby, and that was really, really difficult,” says Kate. A few weeks later, after she was no longer contagious, Kate was released from the hospital. She was finally able to hug her two-year old son. A few weeks later after being released from the hospital she gave birth to a healthy baby boy. Thankfully, none of Kate’s family, friends or coworkers developed TB disease. Nauman knew something wasn’t right. He had a sharp pain in his chest and it was difficult to breathe. He went to the emrgency room and had a chest x-ray. His doctors thought it was pneumonia. The pain continued to get worse over the next few months. Soon he began experiencing nigh sweats, weight loss, extreme fatigue, and diarrhea. He couldn’t take one breathe of air without struggling. A lung biopsy revealed he had tuberculosis. He was referred to a local clinic familiar with TB and began treatment. After a couple of weeks, he began to feel better and gain weight. But Nauman could feel his body telling him that progress had stalled. Test results showed that his particular strain of TB was drug resistant, which meant the drugs Nauman was taking could not kill all the TB bacteria in his body. People with drug resistant TB, need special medications to treat their tuberculosis. These medicines are not as good as the usual TB medicines and they may cause more side effects. Nauman started treatment for his drug resistant tuberculosis, and one of the medications was an injection. For six months, Nauman visited the local clinic every day for directly observed therapy (DOTS). DOTS meant that Nauman took his medicine while a nurse watched. The nurse also administered the medication he received by injection. After six months, he completed his regimen of the injectable TB medication. Nauman was then able to continue his DOTS through technology that allowed him to video conference with his nurse. “I could take the medication at the time that works best for me. The video DOTS helped significantly. I was taking it while I was at work or at home, so it worked out perfectly well”, says Nauman. After twenty months, Nauman completed his treatment. Kenni, a mother of two young daughters, became very sick in 2012 with a respiratory illness. After numerous misdiagnoses, she finally learned she had tuberculosis. In early 2012 Kenni came down with a cough and fever, and was told by a doctor it was a respiratory infection. “I took the antibiotics I was given, but felt no better; in fact it was the worst I’ve ever felt. I was coughing so much my ribs hurt.” Another doctor told her she had severe bronchitis. She did, and was told she had pneumonia. She was then sent to a lung specialist who told her it was probably viral. With so many doctor visits and diagnoses, but no medicine that helped, Kenni was exhausted. That weekend her sister, who is a nurse came over. “She saw how sick I was and said “This sounds like TB. I’m taking you to the emergency room”. “At the ER, a physician saw something on my chest x-ray that looked like a big white cloud, and ordered a CAT scan. After the CAT scan, he came in wearing a mask saying he was concerned I could have TB, but he needed to do a bronchoscopy to make a diagnosis. The next week, with terrible, severe pain in her lungs and chest, Kenni was admitted to the hospital. After 3 days, she was told that she likely did have TB and was started on standard TB treatment. “I knew the medicine was working because soon after starting it, my fever broke,” Kenni recalls. Nine days later, after her TB was confirmed and she was responding to treatment, Kenni returned home. “I was so happy to see my children. They were also tested for TB, as was my husband. Thankfully, none of them were infected”, says Kenni.